The lottery has begun for limited parking slots available to view the 2016 Synchronous Fireflies event in Great Smoky Mountains National Park. The lottery began at noon today, Friday, April 29, and will last through 8 pm EST, Monday, May 2. On Tuesday, May 10, all applicants will be notified of the results of a random system that will award parking passes. The passes are non-transferable, and only one per household may apply. The viewing period is May 31 through June 7. Park officials are trying this random system for the first time, because space is very limited, and more people want to attend than can be accommodated – tickets used to sell out within 10 minutes of being announced. This is a more fair system. 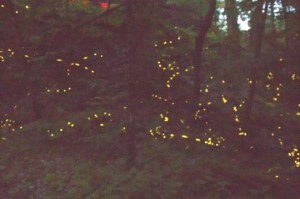 Great Smoky Mountains National Park Firefly Event. People and synchronous fireflies do mix, but room is limited – more people want to see this event than can be accommodated. Only 225 parking passes per day of the 8-day peak viewing event are available. Registered campers at Elkmont Campground can walk to the site, but other pedestrian visitors are prohibited for safety reasons. The only way to catch the sight is by vehicle, and the trolley shuttle system. 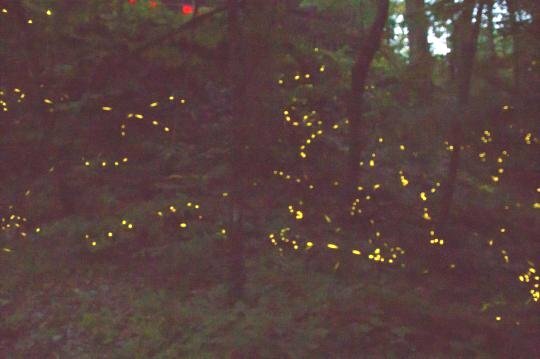 See our previous write-ups about the synchronous fireflies, unique to the Smoky Mountains in all of the Americas. 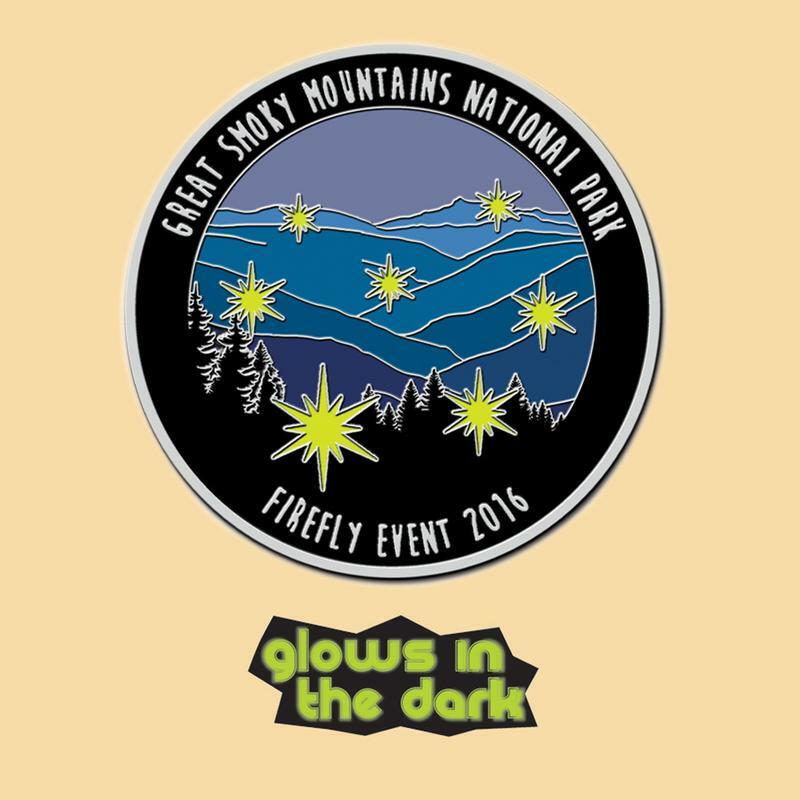 Even if you can’t get to the synchronous fireflies event, you can still buy a badge in support, here at the Great Smoky Mountain National Park store – it glows in the dark (of course).